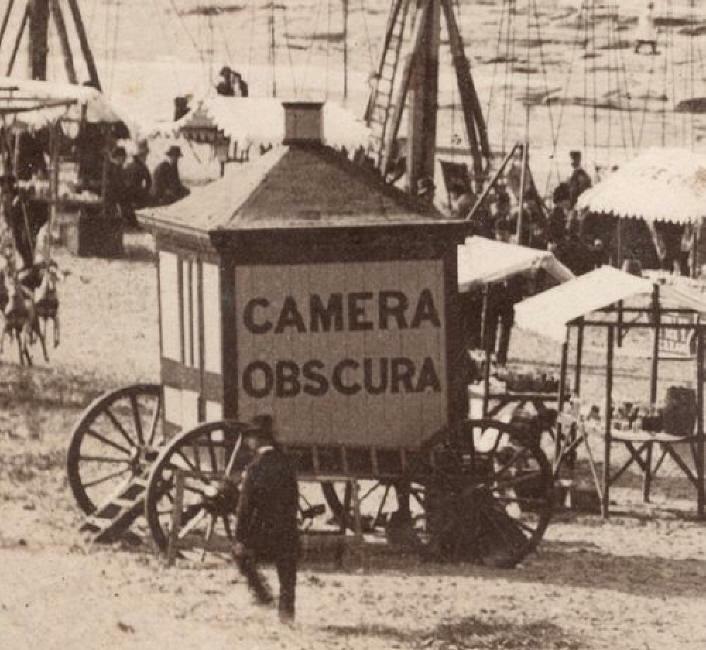 It’s another installment of Camera History! 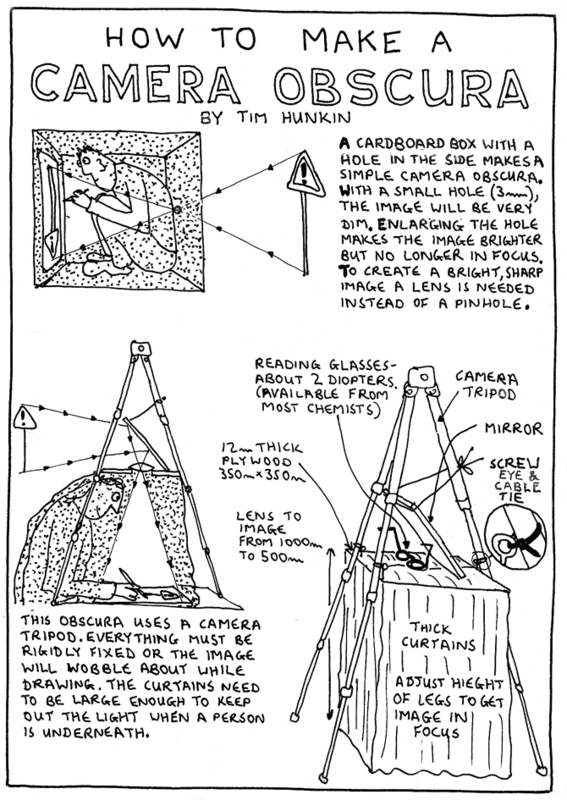 Last time, we covered the precursor of the modern camera, camera obscura. 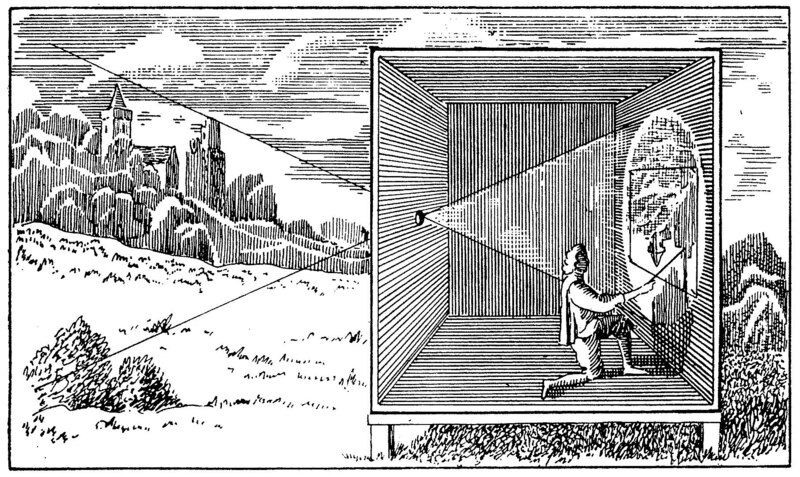 Today we’ll delve into the very beginnings of photography with the earliest cameras and experiments in capturing an image without having to trace it. The first partially successful photograph was taken in 1816 by one Nicéphore Niépce. When I say “partially successful,” I mean that the photograph was not permanent and eventually darkened completely. Niépce used a small camera of his own design and a piece of paper coated with silver chloride, which darkened where it was exposed to light. He didn’t know how to remove the unused silver chloride, which is why it was not permanent. Before the photographic process was perfected, there was no way to truly preserve the images. 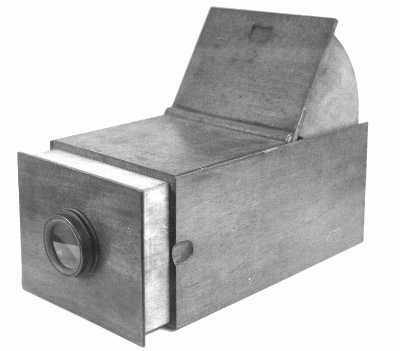 After some experimentation, in 1826 Niépce used a sliding wooden box camera (made by Charles & Vincent Chavalier in Paris, France) and bitumen to create a permanent photograph that still exists today. It’s not a perfectly preserved image, but it was a huge step forward. I want to get in to the chemical details of both silver chloride and bitumen, but first I just want to give a sort of shout out to Johann Zahn. 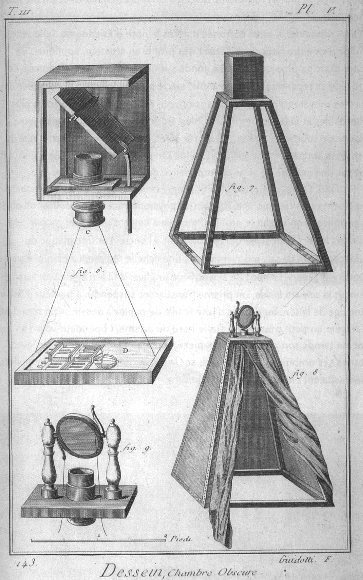 Zahn envisioned the first camera that was small and portable enough to be used for practical photography in 1685. It wasn’t until about 150 years later that his vision would be possible, but gotta give credit where credit is due! Alright, time for some science mixed in with this history! Then we have bitumen, aka asphalt (that surprised me, too!). It’s used in the oldest surviving photograph. It can still be used for photography today, but it’s a long process to get any outcome. First, you have to thinly coat a pewter plate with bitumen. It takes many, many hours of exposure to light to create a picture. Exposure to light hardens the bitumen and makes it insoluble. When the final picture is rinsed with a solvent, only the sufficiently light-struck areas remain. However, ultimately, using bitumen in photography is extremely impractical. And that wraps up our lesson for today! I’d like to take a moment to apologize for getting off schedule. I was at a wedding over the weekend, and Anne was on a photojournalist gig. She’ll be posting on Sunday and then starting on that Sunday, posting is going to get more intensive! We’re going to attempt to post every day of the week! So stick with us through September to see all the cool things we come up with!